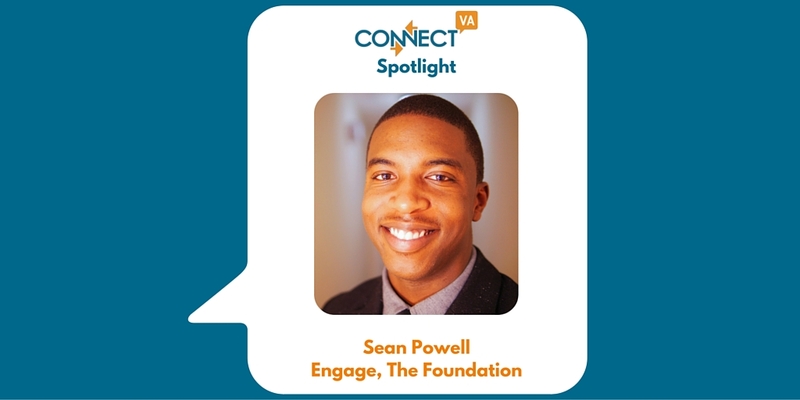 My name is Sean Powell and I’m the Executive Director, of Engage, The Foundation. I have a Bachelor’s Degree in Business from VCU and am currently studying Behavioral Health. The focus of my work is 1) encouraging the college atmosphere to be a positive influence within their surrounding communities, 2) addressing the need of relative, experiential, community development training for college students/recent graduates, while also 3) addressing the need for relative positive influence within the communities. We spend our time encouraging college students to become engaged in positively influencing society’s youth. We focus on strengthening families by connecting communities, schools and universities to resources designed to improve individual stability and family structure. What I find most rewarding is seeing the impact of relative, experiential, community development training for influential college students/recent graduates. It’s rewarding to see these influential individuals going into the communities more prepared to better serve the communities. It is also extremely rewarding to know that some of the youth participating in our youth development programs have been diagnosed with behavioral or mental illnesses and utilize our program as an intervention activity. Some of the major challenges that I’ve faced doing this work is major funding to support the programming for the youth development programs being delivered by the college students/recent graduates. What’s coming next for you and/or for your organization that really excites you? How are you leveraging ConnectVA to achieve your mission? We would like to leverage ConnectVA’s network to build awareness of Engage, The Foundation to increase funding and encourage more individuals to become trained as mentors within our expanding program.